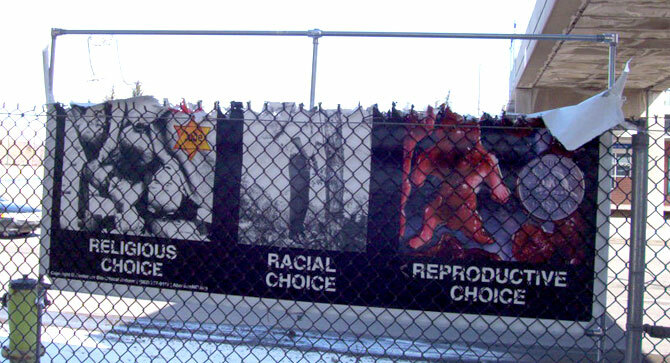 LEFT: Police at Ohio State University Break Up Attempt To Slash CBR Signs. MIDDLE / RIGHT: Police Subdue and Disarm Knife Attacker. 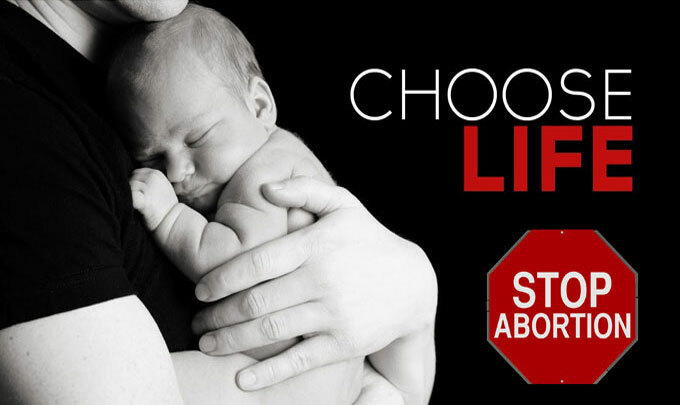 — If Abortion Is Such A Great Idea, Why Do Its Defenders Not Want Anyone To See What It Looks Like??? Two male attackers, both apparently students, destroyed CBR signs at the University of Calgary. One was arrested and the other is being sought by police. 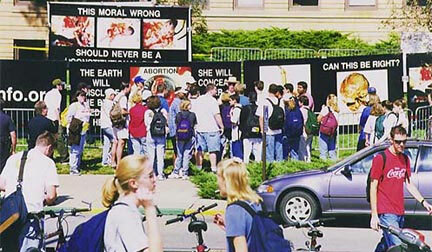 During a CBR visit to Kansas University (above), one student became so angry that he rammed his car into the display, nearly hitting one of our young woman volunteers. — The student was arrested and went to jail. 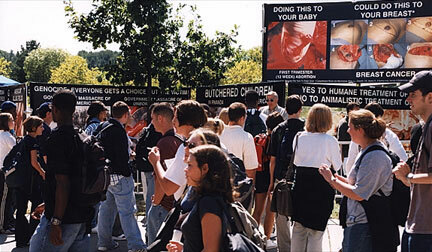 A CBR staff member (right of center in sun glasses) had a cup of hot coffee thrown directly in his face while standing near the CBR signs during a visit to Kent State University (above). — Police apprehended the attacker.